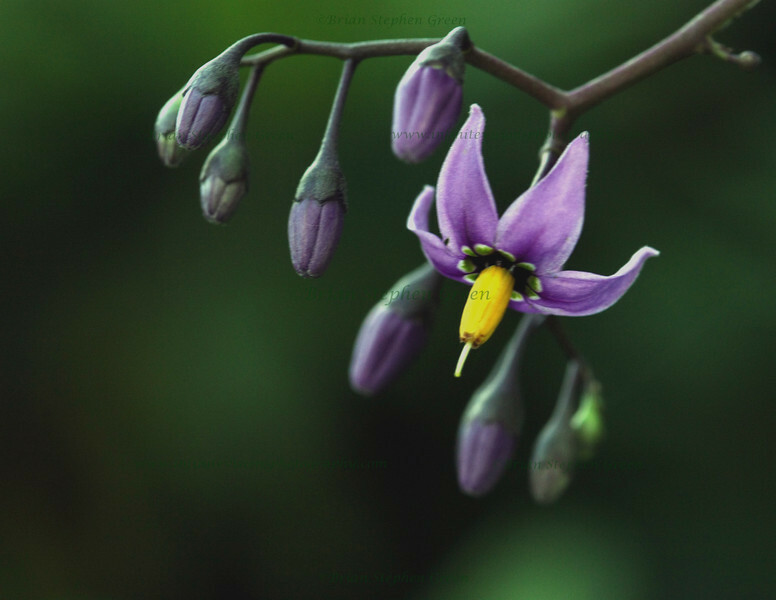 Commonly referred to as Bittersweet Nightshade, it also has been called Deadly Nightshade. Despite the leaves and unripened fruits producing a poisonous alkaloid, the toxin is not fatal. This plant was said to be used to counteract witchcraft long ago. Thanks to everyone for the generous comments on yesterdays butterfly; I really don't know how some of you capture them so well :) Hope everyone has a wonderful day! Composition, colors and DOF make this a very striking photo. LOVE, LOVE, LOVE this shot - it is just awesome. 10 stars!~!!!!! Beautifully done! I've tried several times to catch these sweet little things and find it quite the challenge. Outstanding, Brian. Definitely a wow factor to this. It is composed so well and the dof and color are perfect.